‘The Future of the Office?’ was the title of an essay published in 1982 by George Nelson. 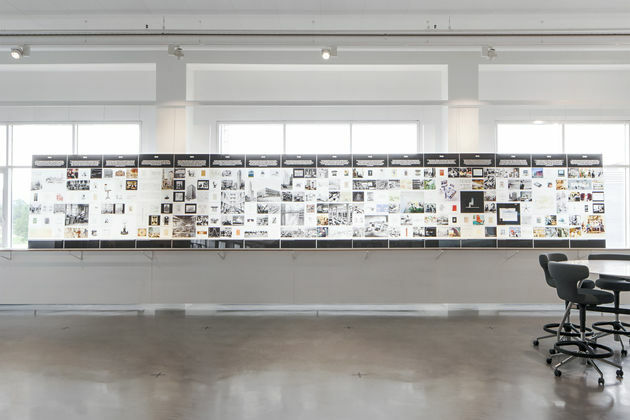 Like the seminal American architect and designer, Vitra has dedicated itself to the very same question for many years and is now probing potential solutions in its new Workspace – an interactive presentation of innovative ideas, insights, projects and products on the themes of the workplace and public spaces. 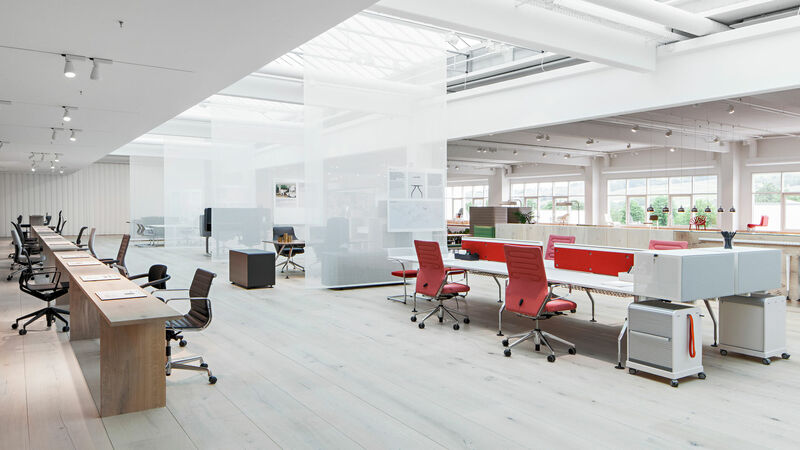 The structure of the Vitra Workspace resembles a mosaic: product groups by Vitra are arranged together with Artek furniture in staged settings that demonstrate contemporary constellations for office interiors. 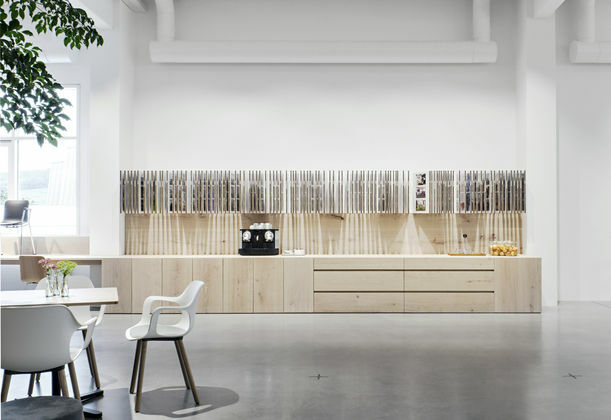 The spatial concept is complemented by an independent workshop area and a material and reference library as well as a café and four installations on the office theme. The experimental project is located in a bright, expansive space on the first floor of the Gehry factory building on the Vitra Campus in Weil am Rhein. 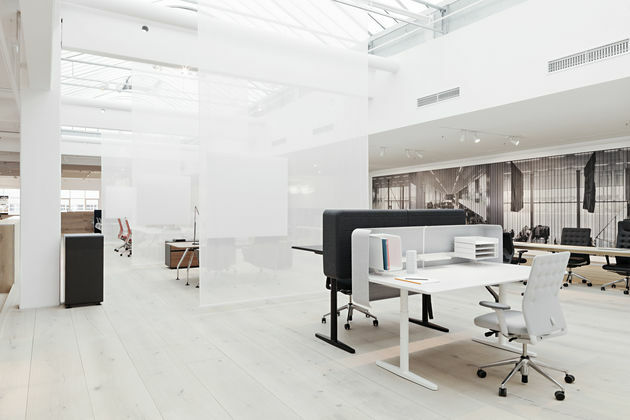 The Vitra Workspace functions as an interactive installation – dealers and customers are encouraged to test, combine, plan, learn and gain inspiration. 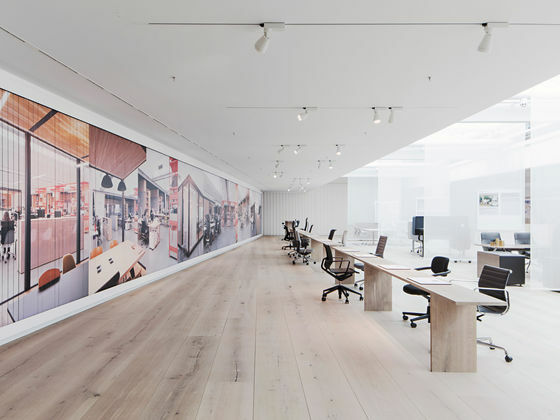 The Workspace visualises modern working environments while simultaneously considering the office in the context of its historic origins and development – offering a unique perspective on the theme of the office. 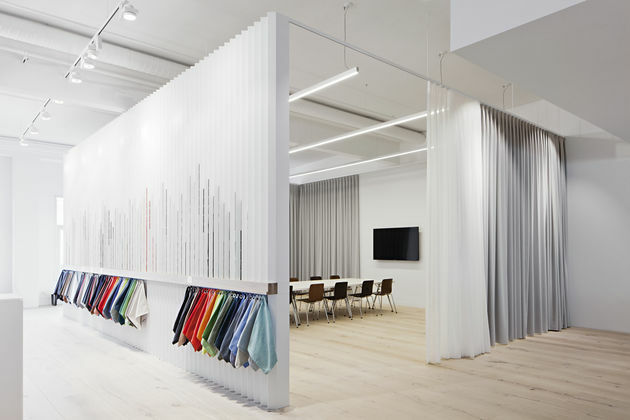 The concept was devised and executed by the London office of the Swedish architect and designer Pernilla Ohrstedt and the L.A.-based designer Jonathan Olivares. Ohrstedt is known for her work with interactive spaces and for her unconventional treatment of materials. Olivares concentrates on the interfaces between the disciplines of industrial, spatial and communication design. 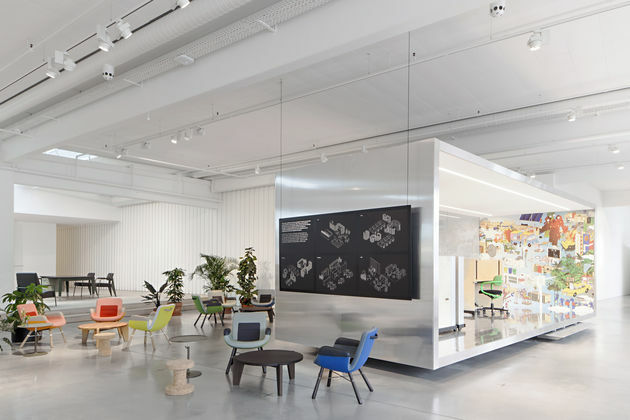 For the Vitra Workspace, the two designers collaborated to create a unified spatial choreography. The Workspace is a pioneering project. 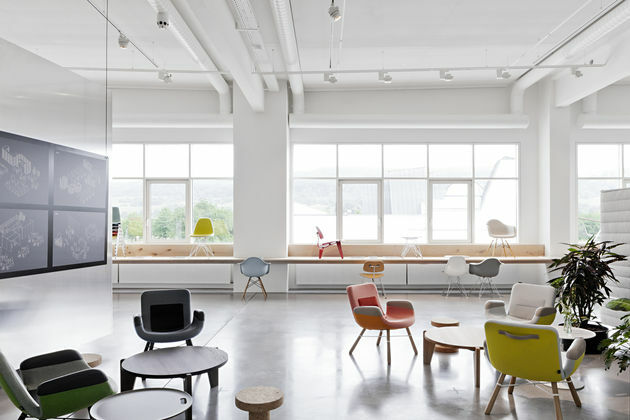 It is a showroom for the Vitra Office segment, but one that goes beyond mere showcasing – in terms of both the physical location and the underlying concept. 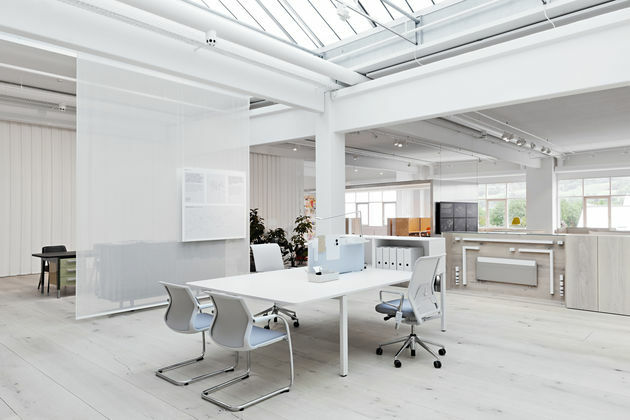 Situated on an axis with the VitraHaus, the Vitra Design Museum, a Vitra factory and the Citizen Office, it forges links between design theory and practical office solutions, between a focused work atmosphere and the ever-changing dynamic of a public space.